The Young Planners Workshop 2019 will be concluded at the 13th Biennial of European Towns and Town Planners -13è Biennale Européene des Villes et des Urbanistes- to be held 11th-13th September 2019 in Plymouth (United Kingdom) under the general title Planning on the edge. In the frame of the Biennial, the ECTP Young Planners Workshop is scheduled as a preliminary event of the Biennial in order to encourage debate amongst and with young planners. 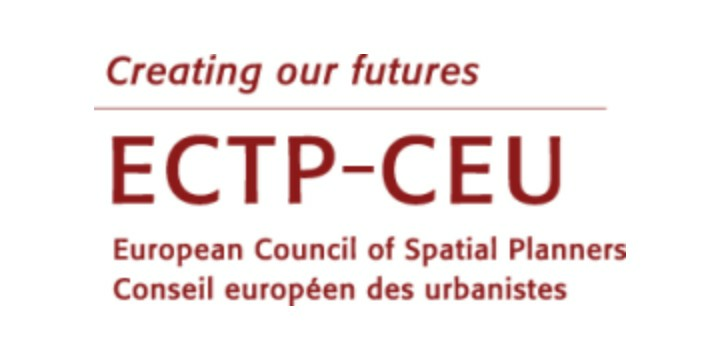 The ECTP-CEU/XIII Biennial organization encourages young planners throughout Europe to exchange experiences and ideas about European urban and regional challenges. To encourage their participation, the Biennial organization offers free admission for the Young Planners Workshop participants and the ECTP-CEU contributes to their travel expenses. The workshop is spread over April-September 2019 in an “online” format; giving the opportunity to discuss in depth the projects in order to enrich final presentations in Plymouth at the Biennial. The final papers will be published in the post-Biennial e-book. The RTPI has launched a comprehensive research programme covering the period 2019-2021, following its most extensive engagement consultation ever with members across the nations and Ireland, the built environment sector, universities and the government. Ten key topics of research have been identified to address perennial and new planning issues. The study provides valuable insight into counteracting the prevailing obsession that Brexit is about easing EU restrictions or red tape, when the report shows that we need a fresh, strategic look at the UK&apos;s environmental goals and standards and how we can better use the planning system to achieve them. Austerity in England has eroded planning’s ability to serve the public interest, according to planners who took part in a study by the RTPI and Newcastle University. The Minister of Local Government and Modernisation, Monica Mæland (Conservative Party) will kick off the conference. Key speaker, Gro Sandskjær Hansen, Ph.d, UiO) from NIBR-OsloMet, will share with us a current major research project on the Norwegian planning system - a four year long evaluation of the national planning act (EVAPLAN). Other related topics will be explored include urbanism and shopping malls, trends within the greyzone of planning and politics, tools to prepare for climate adaptation and stormwater, and the rapidly emerging digital tools in planning - 3D. Currently 71 % of Norway´s main land area is scanned by laser. The data collection is part of a national mapping strategy, offering easy access to open source and accurate data to generate 3D models (https://hoydedata.no/). High-resolution data is key when for instance planning to avoid flooding and avalanches, as well as in regards to climate change adaptation and in everyday, general spatial development. Currently Norwegian areal plans are for the most part made and approved in 2D, with 3D accepted as illustrations. This is to change in the near future, with several pilot projects involved in making and evaluating the use of legally binding 3D plans. 3D plans will be made possible by introdusing the next generation of national standard for maps, SOSI Plan 5.0, and the file format GML. The project is lead by the national government, in association with municipalities and pricate consultants. As part of Oslo´s title, the increasingly popular Urban Future Global Conference will be held in Oslo, May 22-24. One of the main priorities for the Nordic Council of Ministers is "The Nordic Countries in Transition". Norway held the presidency of the Council in 2017 and then launched the presidency project "Attractive towns. Greenredevelopment and competitiveness in Nordic urban regions. Towns that provide a good life for all". The project is one of several initiatives to promote Nordic competitiveness, green redevelopment, the transition to a low-emissionsociety, integration and a good environment for public health. The report with suggested indicators and toolbox, by Sweco (2018) is available here. The challenge was to present, together, the strategic thinking ought to be considered in policy making for Lisbon and the Tagus Region (RLVT) until 2030, regardless of governance and funding issues (i.e. European Investment Fund and Structural Funds), leaving these matters for a further stage. Supported by the CRLVT, CCDR LVT embraced the challenge and led an experts and regional entities involving process, promoting debates and the gathering of global, sectorial and local visions, specific to territorial units. The whole process was benefited by the wide range of participants. As a result of the RLVT agents’ extensive involvement, the document highlights the contributions of 42 experts as guest speakers in seminars, 172 participating entities, written inputs from 38 entities and 395 attendees at the thematic sessions. UNECE will hold its 68th meeting under the theme "Smart sustainable cities: Drivers for Sustainable Development" on 9-10 April 2019 at the Palais des Nations in Geneva, Switzerland. To inform the intergovernmental discussions of the 56 UNECE member States, the Commission is preceded by a Day of Cities that brings together Mayors, urban managers and other key municipal practitioners for an exchange of views and knowledge sharing of good practices and successful planning strategies. In two roundtables, participants will discuss approaches on how to create smart sustainable cities, focusing on ways to improve the quality of life of people and on improving efficiency of urban operations, services and competitiveness.